Queanbeyan is a city located in New South Wales and his population is 40,661 inhabitants. 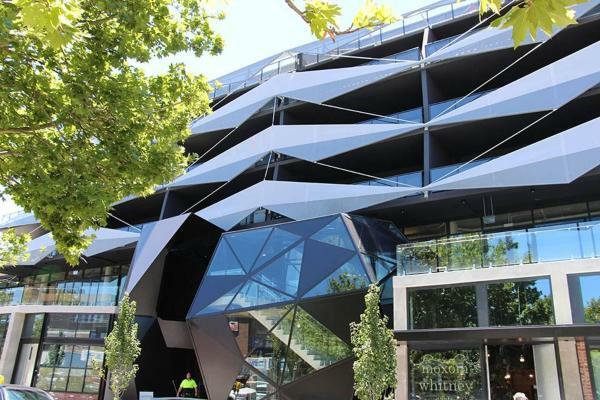 On this page you can consult informations about distances and roadmaps from Queanbeyan to major cities and places in Australia. 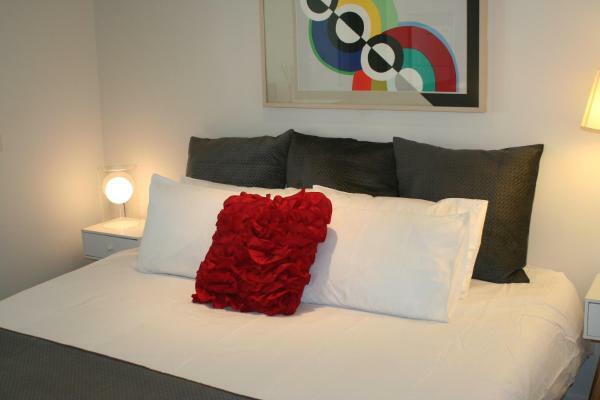 Little National Hotel offers luxurious accommodation in Canberra. Positioned within the Realm Precinct, on National Circuit Barton, the hotel enjoys views of the city, Parliament House and cultural surrounds. This hotel is 10.30 km from city center. Featuring a swimming pool, a sauna and a sunny rooftop terrace, Canberra City YHA is situated in the heart of Canberra's city centre, just 10 minutes’ walk from Lake Burley Griffin. Guests also enjoy an onsite café, bar and games room. This hotel is 12.18 km from city center. 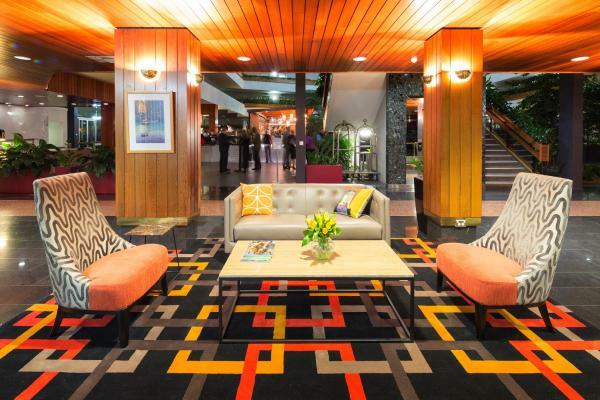 Featuring an indoor pool, spa, half size tennis court and a restaurant, The Waldorf Apartment Hotel Canberra is located in the heart of Canberra city. It is 5 minutes' drive from Captial Circle and the Parliament of Australia. This hotel is 12.17 km from city center. 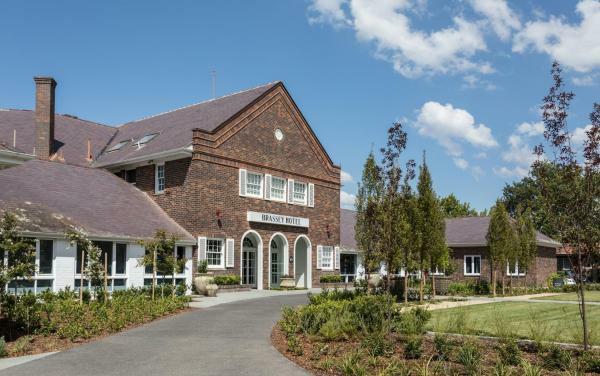 Situated within the Parliamentary Triangle, Burbury Hotel offers accommodation with an interactive “Apple Mac Mini” system, iPod docking station and 32-inch flat-screen cable TV. Only 1. This hotel is 10.22 km from city center. 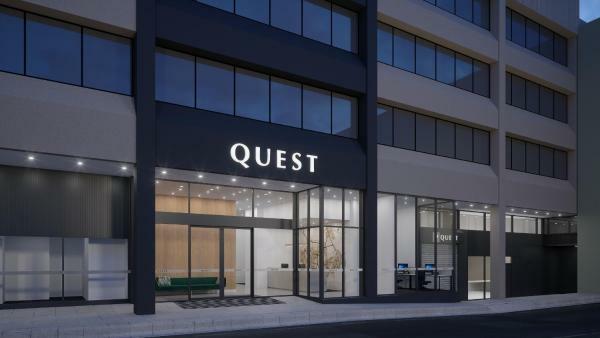 Located in Canberra CBD, Quest Canberra City walk is 50 metres from Canberra Centre. Quest Canberra City walk Provides Unlimited Free of charge high Speed Internet Access. This hotel is 12.20 km from city center. 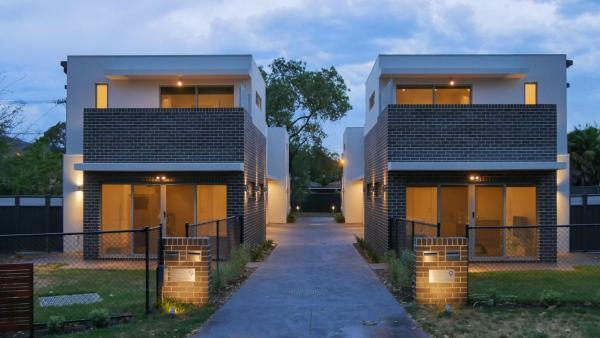 Located in the heart of Canberra, this modern property is just a 4-minute drive from Parliament House and a 5-minute drive from National Library of Australia. This hotel is 10.17 km from city center. 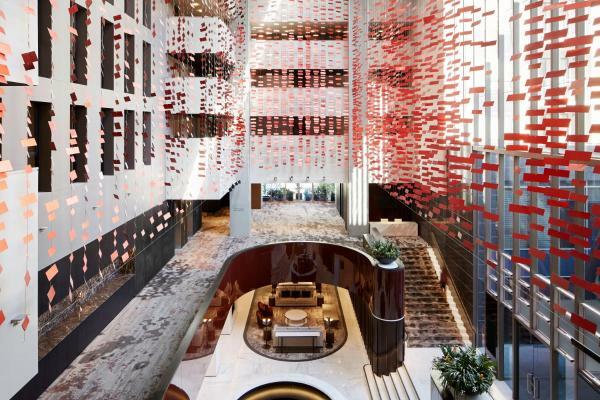 The 4.5 star Pavilion On Northbourne features Canberra's largest indoor tropical garden atrium. There is also an outdoor swimming pool, fitness centre and onsite bar and restaurant. This hotel is 13.98 km from city center. 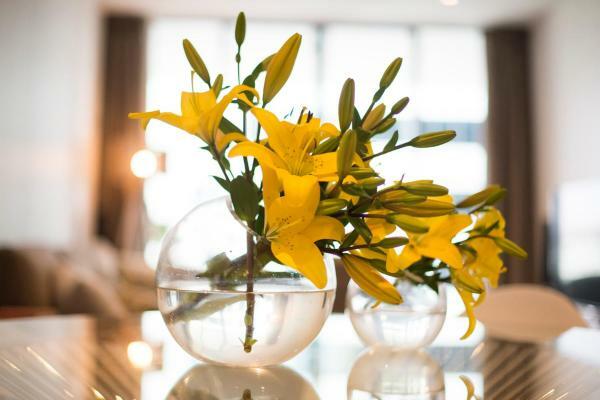 Located in the elegant suburb of Barton, on the footsteps of Parliament House, Hotel Realm is contemporary in design and features 2 day spas, 2 health clubs and 5 on-site restaurants. It offers a 25-metre lap pool, plunge pool and sauna facilities. This hotel is 10.20 km from city center. 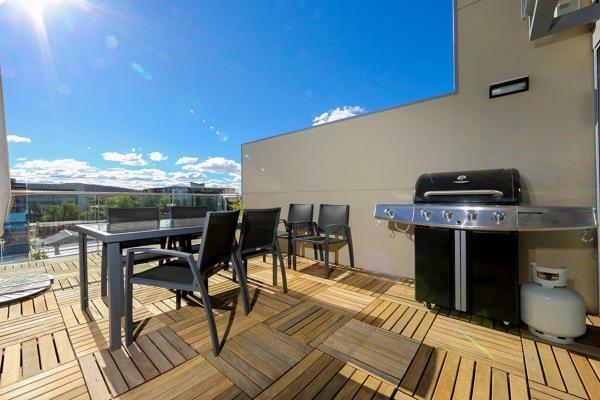 Offering self-contained apartments with a private balcony, Mode - Accommodate Canberra is just a 3-minute drive from the National Convention Centre. Free parking is available on site. This hotel is 12.82 km from city center. ORI is situated in Canberra, less than 1 km from Canberra Centre, 2.2 km from National Convention Centre Canberra, as well as 2.4 km from Australian War Memorial. This hotel is 12.88 km from city center. 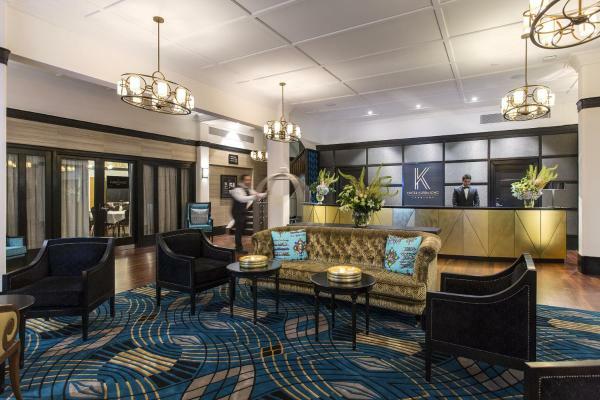 Located 1km from Old Parliament House and Capital Hill, Hotel Kurrajong Canberra is a heritage-listed property with a café, restaurant and 100MB of free WiFi per day, per room. A 24-hour reception is available. This hotel is 10.37 km from city center. 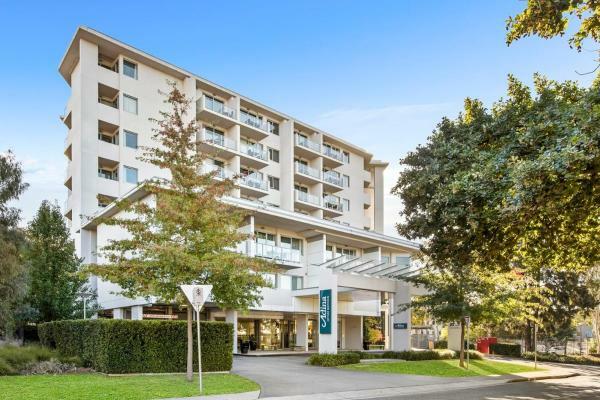 Situated within 300 metres of Canberra Centre and 700 metres of National Convention Centre Canberra in Canberra, Accommodate Canberra - Manhattan on the Park offers accommodation with a kitchen. This hotel is 12.08 km from city center. 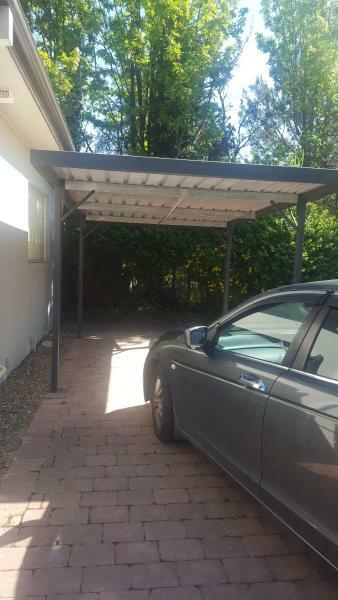 Set in various locations around central Canberra, Canberra Furnished Accommodation offers self-contained studios and apartments. All accommodation features a balcony or a patio, and some offer access to a swimming pool, gym and BBQ facilities. This hotel is 13.31 km from city center. 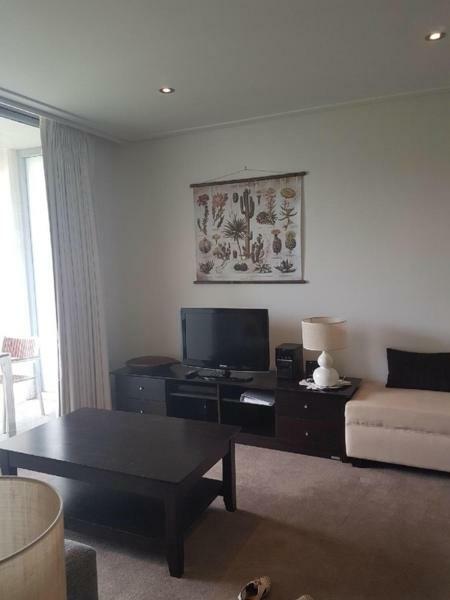 Modern Executive Apartment @ Braddon*1BR*Wine*Wifi*Secure Parking*Canberra is set in Canberra, less than 1 km from Canberra Centre, 2.3 km from Australian War Memorial, as well as 2.4 km from National Convention Centre Canberra. This hotel is 12.84 km from city center. Situated in one of Canberra's premier retail and dining precincts, Adina Serviced Apartments Canberra Dickson offers spacious rooms and apartments. Complimentary WiFi and on-site parking is offered. This hotel is 13.85 km from city center. 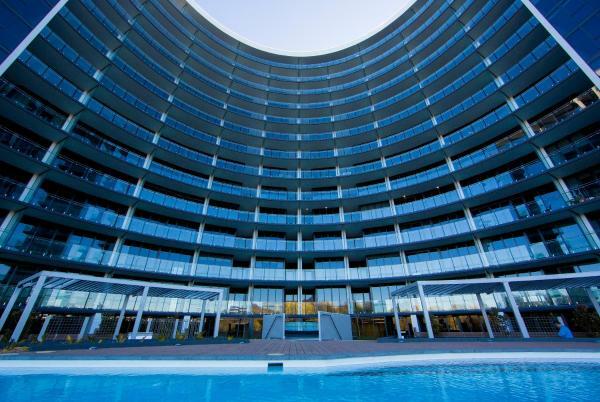 Located in central Canberra, Astra Apartments Canberra - Manhattan offers an outdoor pool, a spa and a fitness centre. This self-contained accommodation features a private balcony with views of the surrounding area. This hotel is 12.11 km from city center. Kui Manhattan 2 offers accommodation in Canberra, 300 metres from Canberra Centre and 600 metres from National Convention Centre Canberra. Featuring free WiFi, the property also has a seasonal outdoor swimming pool and a fitness centre. This hotel is 12.05 km from city center. 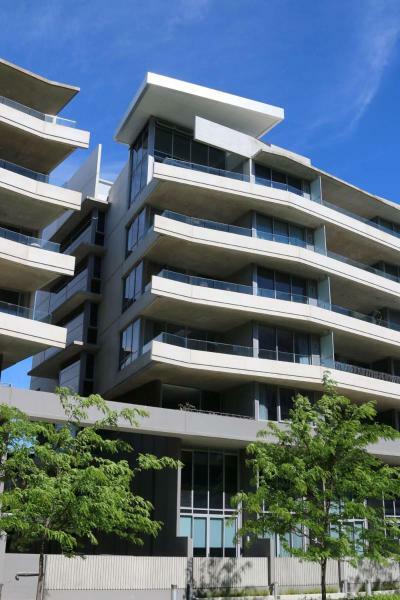 Located right in the heart of Canberra City, Birch Apartments is a collection of luxurious and spacious apartments featuring high ceilings and full-length windows with private balconies. This hotel is 12.05 km from city center. 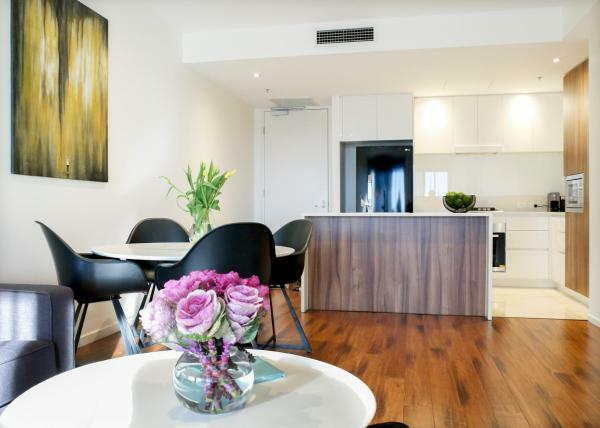 KUI - Manhattan Apartments is located in the heart of Canberra, just 300 metres from Canberra Centre. Guests enjoy access to a balcony, hot tub and an outdoor pool. The kitchen is fitted with a dishwasher and an oven, as well as a coffee machine. This hotel is 12.04 km from city center. 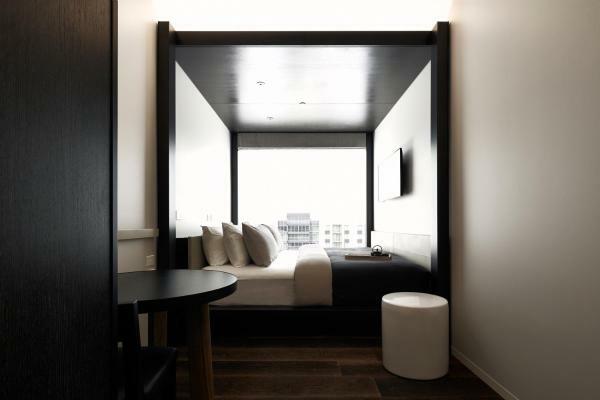 Located in the heart of Canberra, the Crowne Plaza offers contemporary rooms and a choice of 4 in-house dining options. Guests have free access to a fitness centre with a sauna. This hotel is 11.96 km from city center. 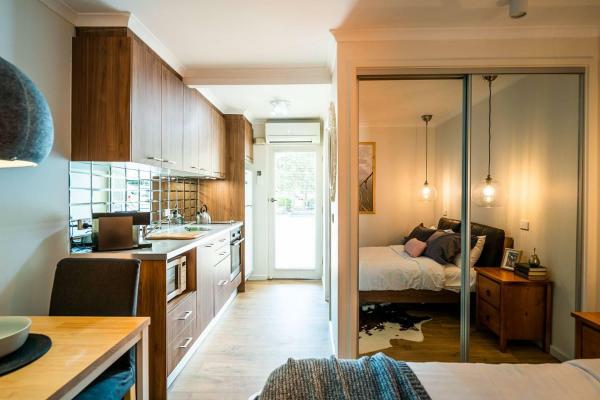 Flat in heart of Griffith is a holiday home in Griffith, Canberra, opposite Manuka Shops. Guests have access to barbecue facilities and a garden. Guests have a private patio. This hotel is 9.48 km from city center. 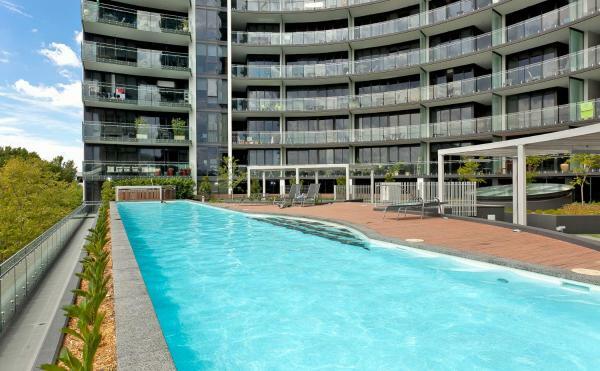 Accommodate Canberra - Glebe Park offers stylish self-contained apartments with access to an outdoor pool and a fitness centre. Just 200 metres from National Convention Centre, all apartments offer a balcony and free on-site parking. This hotel is 11.78 km from city center. Set 2.7 km from Canberra Centre and 3 km from Australian War Memorial, Maison Executive is in Canberra and has a garden and a terrace. The property features garden views, plus is 3.4 km from National Convention Centre Canberra. This hotel is 13.71 km from city center. City /// Be close to the Lake, City & Nightlife is set in Canberra. Guests benefit from a patio and an outdoor pool. The apartment comes with 2 bedrooms, a TV and a fully equipped kitchen that provides guests with a dishwasher and an oven. This hotel is 11.78 km from city center. Situated on 2.5 acres of manicured gardens and lawns, the 1920s-style Brassey of Canberra is just 5 minutes' drive from the Parliament of Australia and Capital Circle. This hotel is 9.96 km from city center.